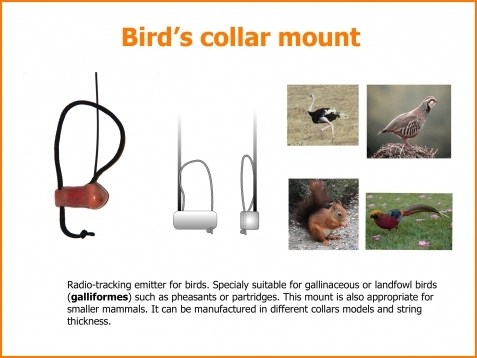 The Natural Environment and Wildlife tracking transmitters have been designed according to the latest technologies and thanks to the experience from many professionals from the biology and engineering fields. The constant research of our technicians and the continuous development of our transmitters are proved with the high reliability and performance of all the equipments developed in our laboratories. Some of the most used and adjustable transmitters are detailed below. 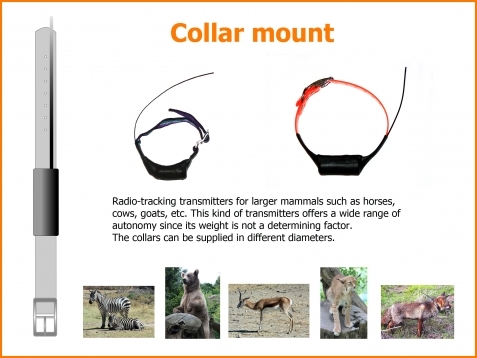 They can be configured and adapted to many animals and applications. As there are many kinds of configurations, we can manufacture a huge range of models, almost infinitely. 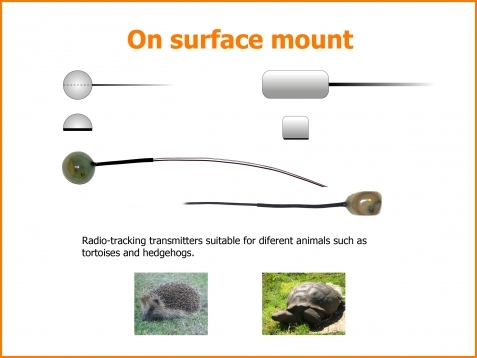 The sort of transmitter election will depend on the animal to track. 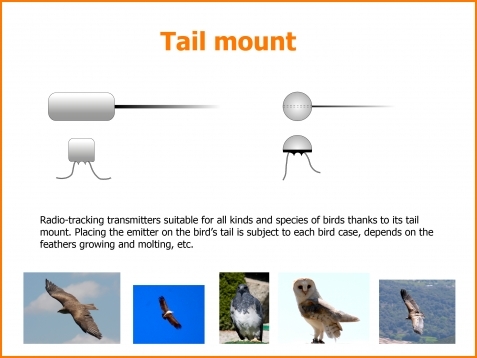 The configuration variables such as life-span, range distance, weight, etc, can be specially personalized to each project.